The cloves are a soft, dark brown, almost black in colour. The flavours are deep, almost caramelised with a wonderful sweet sour balance. There is a strong umami kick and hints of aged balsamic, black cardamom, leather, smoke, tamarind and liquorice. British Black Garlic is a unique, truly artisan ingredient, special in its own way like Alba Truffles or Beluga Caviar. British Black Garlic can be used as an ingredient or eaten as a snack, giving greater health benefits than regular garlic with none of the unpleasant side affects. 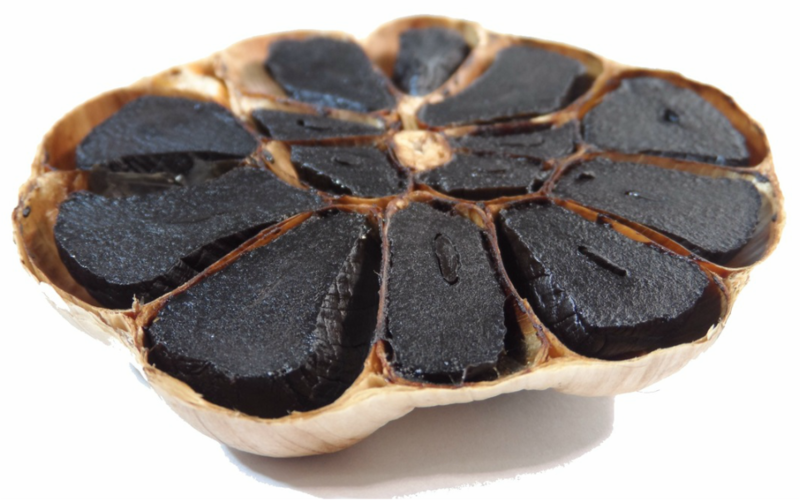 Discover black garlic with @GarlicUK. It’s fantastic!